Berman Property Solutions (formerly Berman Auctioneers & Appraisers) has handled numerous auction-by-choice sales in recent years, where the sale price ended up being tens of thousands of dollars higher than what the seller had considered asking for the property through a traditional listing approach. However, not every piece of real estate is a good candidate for a successful auction-by-choice sale. 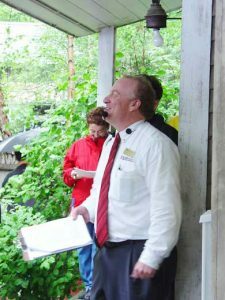 In general, a property that is desirable, with a seller who is truly motivated to sell at market value, creates the best scenario for a successful auction-by-choice. Read our testimonials and case studies of successful auctions by choice by Berman Property Solutions. Read an article about Auctions By Choice, or click here for more information on Auctions By Choice.